B and B Automotive, we specialize in atomotive repair and maintenance of American and Foreign Cars, Trucks, and Recreational Vehicles. Our skilled and dependable technicians will ensure that your vehicle is fixed to your satisfaction. I started B & B in 1985; I wanted to repair vehicle (cars, trucks, and recreational vehicles) for a living and try to save people money and time. I spent lot's of long days and nights learning about cars and trucks; spent hours in technical schools and other training like Mitchell Training, ASE Training, IMAC A/C Training and many more to learn about cars and trucks systems. In the 80s, all cars and truck went to using computers and there were not many shops that could test and repairs these vehicles and the new technologies. That is were B & B came into the picture; Here at B & B automotive, we started specializing in the latest computer ran cars and trucks, and continue to do so today. Today’s vehicles have gotten very complex, with computers controlling almost every aspect of the vehicle, that’s why we continue to learn about the new vehicles and the technologies that run them. Some people do not know most vehicles have more computers than a jet fighter today, that’s why it is so important to have someone with a lot of day to day “hands on experience” with the specialty equipment necessary to diagnose and fix the modern vehicles. Most of our equipment is state of the art snap on equipment; we use several technical sites, like All Data and Ident-i-Fix and many other outlets for data and many other tools in our every day repairs. 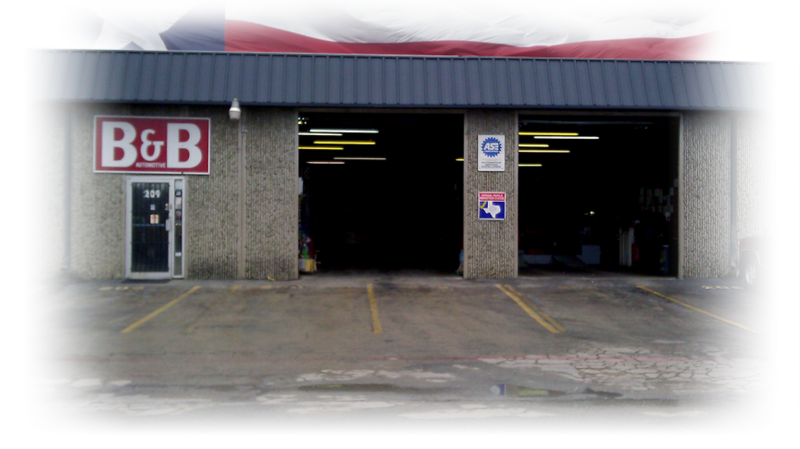 The good thing about using B & B automotive is experience and dedication to all of our customers and our prices our very competitive, if not a lot less then other auto repair centers in the area. It is more common nowadays, that people have more problems with check engine lights or some other warning lights in their vehicle; and when trying to get a state inspection, having warning lights on will not allow that vehicle to pass a state inspection. We repair all trouble codes, reset all maintenance lights, and do state inspection on all cars, trucks, trailers, motorcycles, and mopeds. In years past we have done a lot of maintenance on various vehicles to prevent breakdowns, doing these maintenance is so important to the life of a vehicle, from things like 3-5 month oil changes, tune ups, inspect and replace warn belts and hoses, thermostats and coolant changes, timing belts, and all other services recommended by the manufacture. Here at B & B, we have all the factory intervals, so we can keep up with all your vehicle needs. All employees at B & B have a minimum of 20 years experience in vehicle diagnostics and repairs. 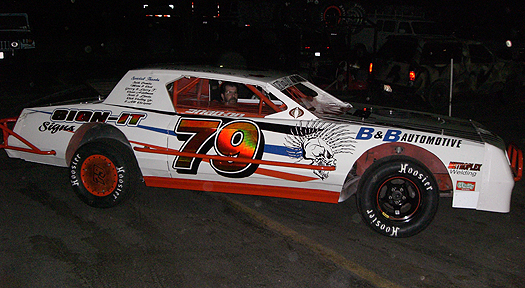 In 2000, B & B started a race team called Dirt Poor Racing, we are able to build and repair race cars ranging from circle track to drag and street performance. NO JOS IS TOO BIG OR TOO SMALL! Most repairs have a 90 day warranty on labor and 1 year warranty on parts; some repairs have a longer warranty; please ask if you do not know or need more warranty. We service after market warranties so feel free to have us call to see if you have any warranty on a covered warranty repair. I would like to say that I still like working with people and on their vehicles, even after 28 years at B & B automotive! Please call or stop by, our hours are Monday thru Friday 8.30 am till 6.00 pm. 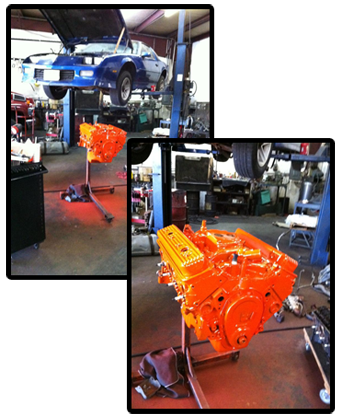 WE SERVICE ALL TYPES OF CARS AND TRUCKS, AMERICAN AND FOREIGN!